Jesus Christ is the Creator of the universe. Jesus Christ is the Alpha and Omega, the first and the last. Jesus Christ, the Person, never had a beginning. He is absolute Reality. He has the unparalleled honor and unique glory of being there first and always. He never came into being. He was eternally begotten. The Father has eternally enjoyed “the radiance of the glory of God and the exact imprint of his nature” (Hebrews 1:3) in the Person of his Son. Seeing and savoring this glory is the goal of our salvation. “Father, I desire that they also, whom you have given me, be with me where I am, to see my glory that you have given me” (John 17:24). To feast on this forever is the aim of our being created and our being redeemed. I can’t believe it’s been 15 years since I read J.P. Moreland’s Love Your God with all Your Mind. EVERYONE should read this book and arm themselves with the skills to engage culture and the tools to grow deeper in their love for God using the one faculty that sets all humans apart from the rest of the animal kingdom: our minds! Two major developments emerged in the late nineteenth century that contributed to the loss of the Christian mind in America. The legacy of the Pilgrims and Puritans waned, and two new movements emerged from which the evangelical church has never fully recovered…. Obviously, there is nothing wrong with the emphasis of these movements on personal conversion. What was a problem, however, was the intellectually shallow, theologically illiterate form of Christianity that came to be part of the populist Christian religion that emerged. One tragic result of this was what happened in the so-called Burned Over District in the state of New York. Thousands of people were “converted” to Christ by revivalist preaching, but they had no real intel- lectual grasp of Christian teaching. As a result, two of the three major American cults began in the Burned Over District among the unstable, untaught “converts”: Mormonism (1830) and the Jehovah’s Witnesses (1884). Christian Science arose in 1866 but was not connected with this area. 2. Evangelical withdrawal began. Sadly, the emerging anti- intellectualism in the church created a lack of readiness for the wide- spread intellectual assault on Christianity that reached full force in the late 1800s. This attack was part of the war of ideas raging at that time and was launched from three major areas. First, certain philosophical ideas from Europe, especially the views of David Hume (1711–1776) and Immanuel Kant (1724–1804), altered people’s understanding of religion. Hume claimed that the traditional arguments for God’s exis- tence (for example, the world is an effect that needs a personal cause) were quite weak. He also said that since we cannot experience God with the five senses, the claim that God exists cannot be taken as an item of knowledge. In a different way, Kant asserted that human knowledge is limited to what can be experienced with the five senses, and since God cannot be so experienced, we cannot know He exists. The ideas of Hume and Kant had a major impact on culture as they spread across Europe and into America. 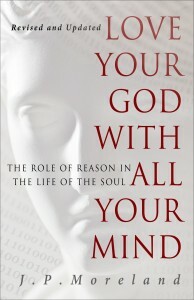 For one thing, confidence was shaken in arguments for the exis- tence of God and the rationality of the Christian faith. Additionally, fewer and fewer people regarded the Bible as a body of divinely revealed, true propositions about various topics that requires a devoted intellect to grasp and study systematically. Instead, the Bible increasingly was sought solely as a practical guide for ethical guidance and spiritual growth. Second, German higher criticism of the Bible called its historical reliability into question. The Mosaic authorship of the Pentateuch was challenged and the search for the historical Jesus was launched. Believers grew suspicious of the importance of historical study in understanding the Bible and in defending its truthfulness. An increased emphasis was placed on the Holy Spirit in understanding the Bible as opposed to serious historical and grammatical study. Third, Darwinian evolution emerged and “made the world safe for atheists,” as one contemporary Darwinian atheist has put it. Evolution challenged the early chapters of Genesis for some and the very existence of God for others. Instead of responding to these attacks with a vigorous intellectual counterpunch, many believers grew suspicious of intellectual issues alto- gether. To be sure, Christians must rely on the Holy Spirit in their intel- lectual pursuits, but this does not mean they should expend no mental sweat of their own in defending the faith. Around the turn of the nineteenth century, fundamentalists with- drew from the broader intellectual culture and from the war with liberals that emerged in most mainline denominations at the time. Funda- mentalists started their own Bible institutes and concentrated their efforts on lay-oriented Bible and prophecy conferences. This withdrawal from the broader intellectual culture and public discourse contri- buted to the isolation of the church, the marginalization of Christian ideas from the public arena, and the shallowness and trivialization of Christian living, thought, and activism. In short, the culture became saltless. More specifically, we now live in an evangelical community so deeply committed to a certain way of seeing the Christian faith that this perspective is now imbedded within us at a subconscious level. This conceptualization of the Christian life is seldom brought to conscious awareness for debate and discussion. And our modern understanding of Christian practice underlies everything else we do, from the way we select a minister to the types of books we sell in our bookstores. It informs the way we raise our children to think about Christianity; it determines how we give money to the cause of Christ; and it shapes our vision, priorities, and goals for both local and parachurch ministry. If our lives and ministries are expressions of what we actually believe, and if what we believe is off center and yet so pervasive that it is seldom even brought to conscious discussion, much less debated, then this explains why our impact on the world is so paltry compared to our numbers. I cannot overemphasize the fact that this modern understanding of Christianity is neither biblical nor consistent with the bulk of church history. What, exactly, is this modern understanding of Christianity? Get a free PDF sample or send a sample to your Kindle reader. Why do you balk at the doctrine of the Trinity – God the three in One – yet meekly acquiesce when Einstein tells you E=mc2? What makes you suppose that the expression “God ordains” is narrow and bigoted, while your own expression, “Science demands” is taken as an objective statement of fact? You would be ashamed to know as little about internal combustion as you know about Christian beliefs. I admit, you can practice Christianity without knowing much theology, just as you can drive a car without knowing much about internal combustion. But when something breaks down in the car, you go humbly to the man who understands the works; whereas if something goes wrong with religion, you merely throw the works away and tell the theologian he is a liar. I get to know him more deeply by doing his will. Every Christian is called to contend, in various ways, in the various roles to which God has called him or her. This requires us to take what is often the more difficult path, doing what doesn’t come quite so naturally. When we contend—whether inwardly or outwardly—we act in faith and hope, trusting that as we obey God and cooperate with him, truth may prevail over error, obedience over disobedience, and godliness over sin. Contending takes the narrow way; it is not a path to travel alone. This, practically speaking, is why God gives us community. We gather in our local churches to praise the Lord Jesus corporately and to work out our faith practically, with fear and trembling to the glory of God (cf. Phil. 2:12). He does not leave us to our own devices to figure out how to live faithfully. He gives us pastors and leaders to help guide us, and fellow congregation members to walk alongside us on this journey of obedience to Christ and his Word. It’s in this context that we contend for the faith—first (and continually) inwardly, and then (as necessary) outwardly. To contend with others—to contend outwardly—is to speak the truth in love. This is one of the greatest acts of mercy we can perform, greater even than charity, for it holds out the hope of eternal blessing. To contend in this way is to humbly and confidently confront error and folly and call the wayward to the truth of the gospel. It is to “have mercy on those who doubt; save others by snatching them out of the fire; to others show mercy with fear, hating even the garment stained by the flesh” (Jude 20-23). Why Won’t God Show Me a Sign? I think Dr. Nelson did a great job with this question. He said if God happened to walk through the door here (where he was speaking), he is not sure how he would handle it. He said he would be quite terrified. He also said that perhaps most of the audience would probably think we were hallucinating. Also, (as mentioned above) Dr Nelson discussed the issue of how the audience of Jesus did not believe in His miracles. The point is that the desire for concrete, or direct evidence for the existence of God can be misguided. This has been written about in Paul Moser’s work. Kreeft, P. Handbook of Christian Apologetics, Downers Grove, IL: Intervarsity Press. 1994, 101-120. Geisler, N. L., BECA, Grand Rapids, MI: Baker Book. 1999, 481.